Sally Robinson is a lifelong resident of Charlotte. She has had a love affair with Duke University ever since she came with her family to Duke football games in the early 1940s. 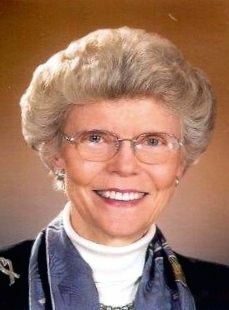 She graduated Phi Beta Kappa from Duke with a major in history in 1955 and served as a trustee of Duke from 1995 to 2004. She and her husband, Russ, whom she married before her junior year, received the Distinguished Alumni Award from Duke in 2006. She co-chaired Duke’s Financial Aid Initiative, served on the founding Advisory Board of the Robertson Scholars Program, and served for eight years on the National Advisory Board of DukeEngage. The Robinsons’ three children and two of their four grandchildren also attended Duke. In Charlotte, Robinson has been on the boards of various organizations, including being the founder of the Levine Museum of the New South. In addition to the CDS board, he presently serves on the boards of the Charlotte Mecklenburg Library Foundation and the President’s Council of Central Piedmont Community College. Robinson has won various awards in her hometown, including being named Woman of the Year in 1988 and receiving the UNC–Charlotte Distinguished Service Award and the Arts and Science Council’s Lifetime Commitment Award. She was also a member of the Board of the National Humanities Center from 1999 to 2017.